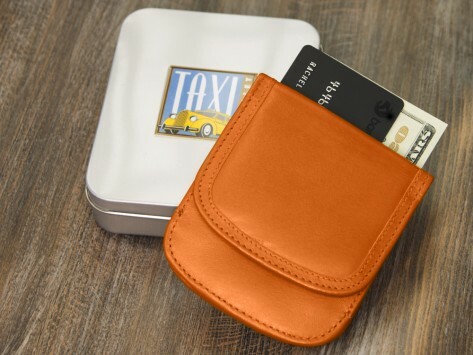 Hail the TAXI Wallet for a slim, sturdy, and loyal companion. Find your bills when you’re ready to pay, then slip receipts and business cards right into the center pocket—all while keeping IDs and credit cards in the internal, extra secure pocket. Reviewers praise its streamlined, efficient construction. I purchased this wallet as a gift for a friend. She was impressed with its quality & compactness. Great product! Gift for my granddaughter, She loved it! Arrived on time and well packaged.